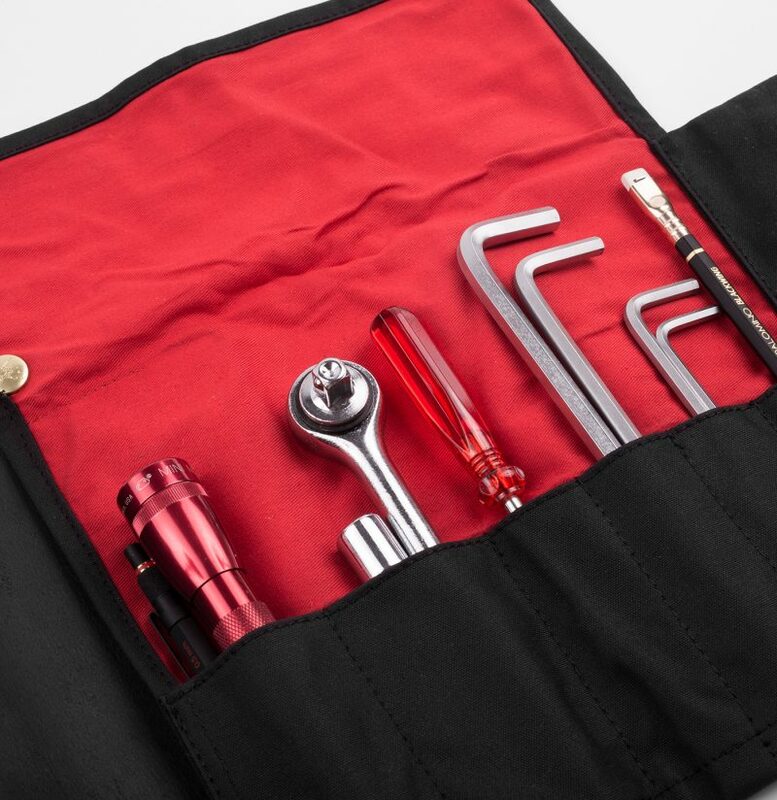 We all need to be prepared and whether you’re traveling by foot, 4x4, boat or motorcycle, a few good tools will always get you (or others you meet on the way) out of trouble. 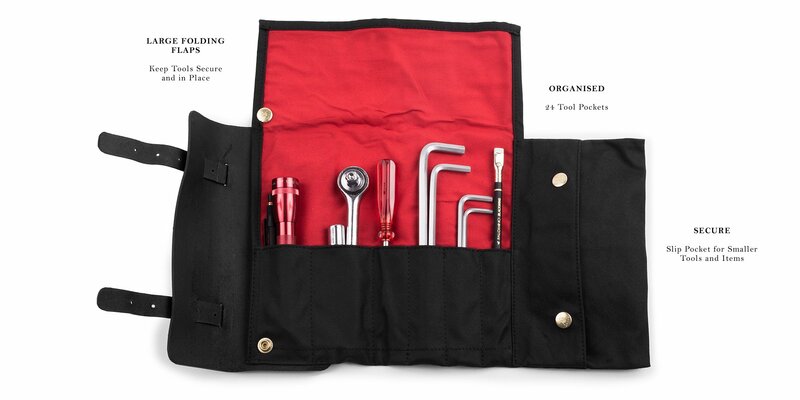 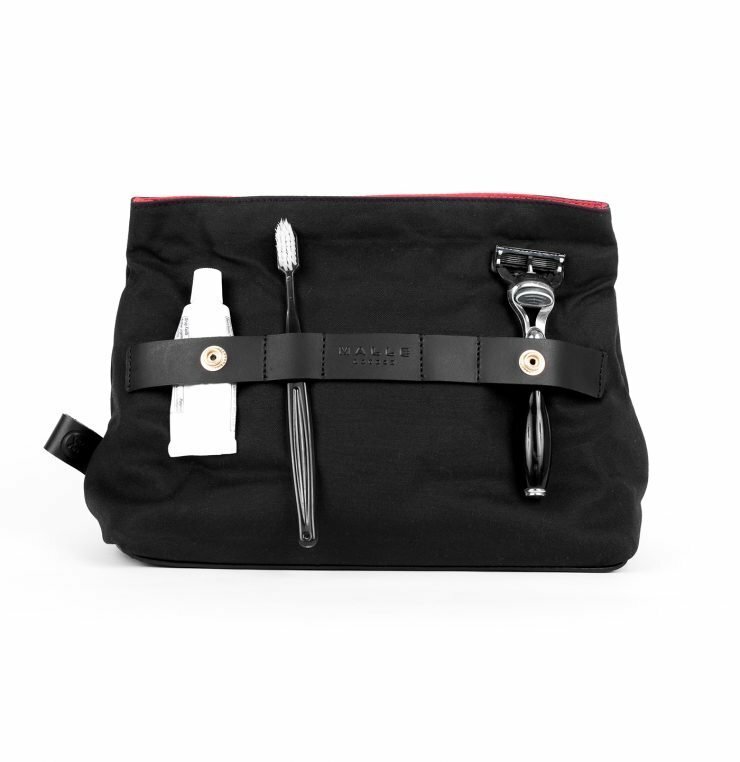 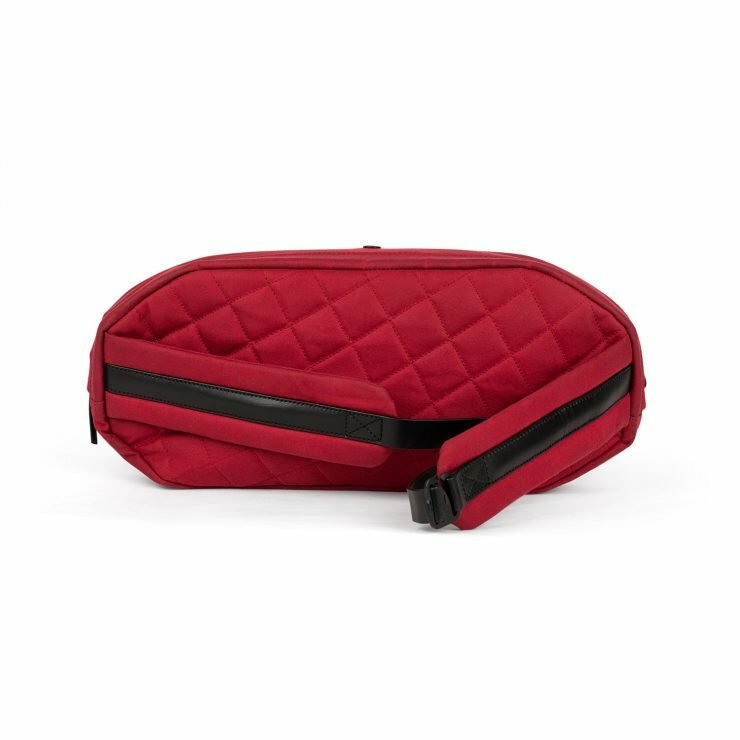 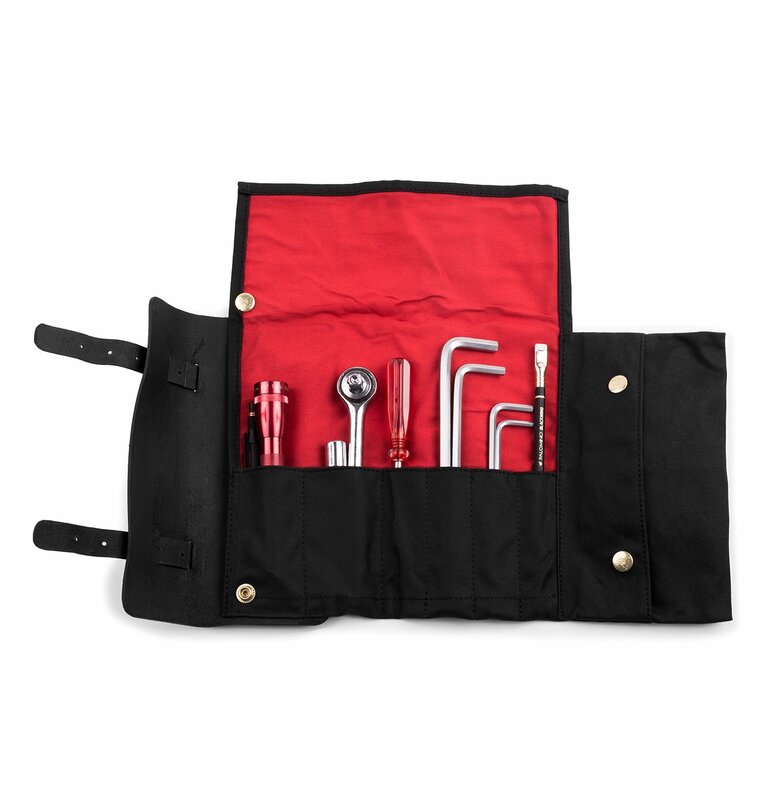 Our smaller Douglas tool roll features 6 pockets and a slip pouch to hold small items securely. 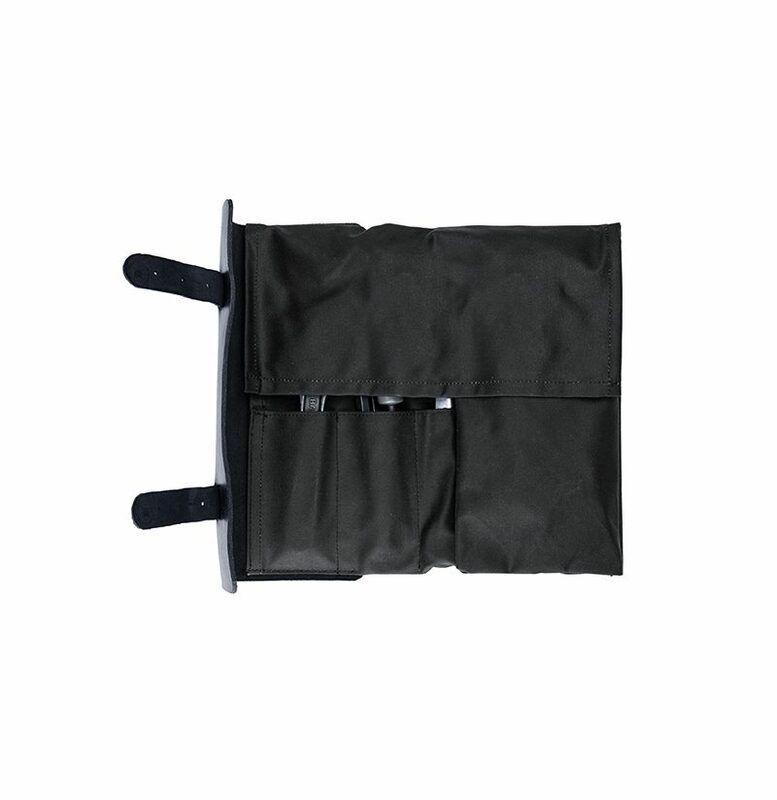 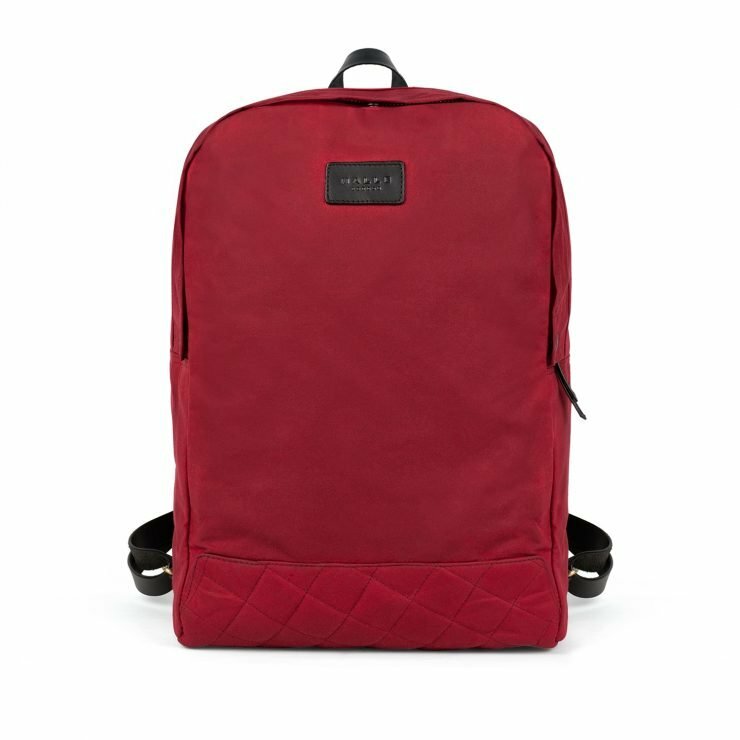 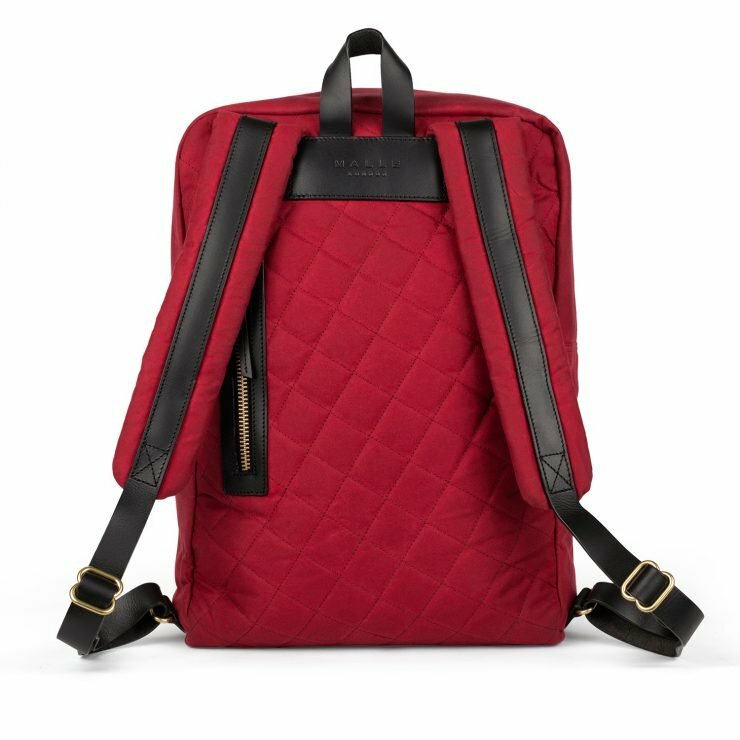 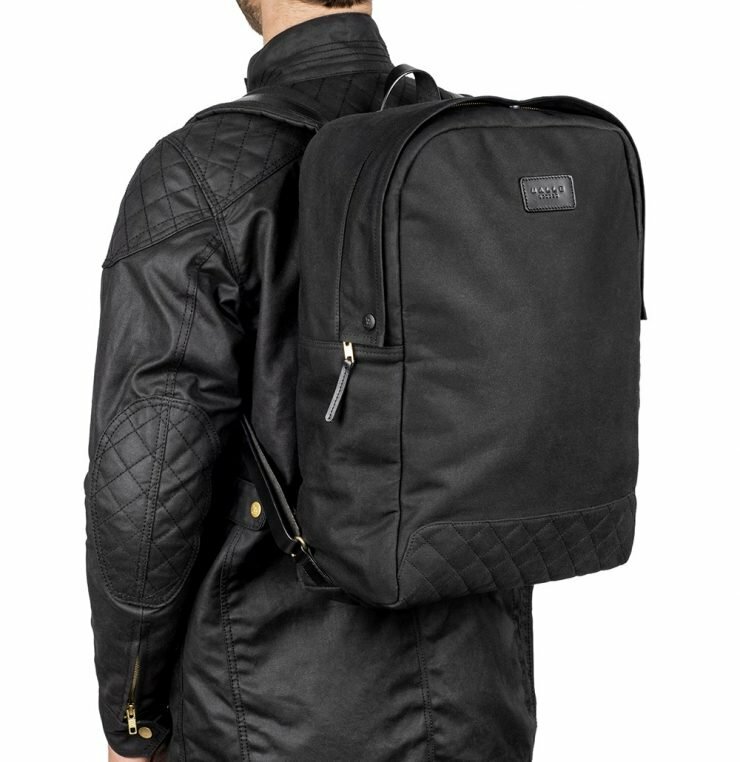 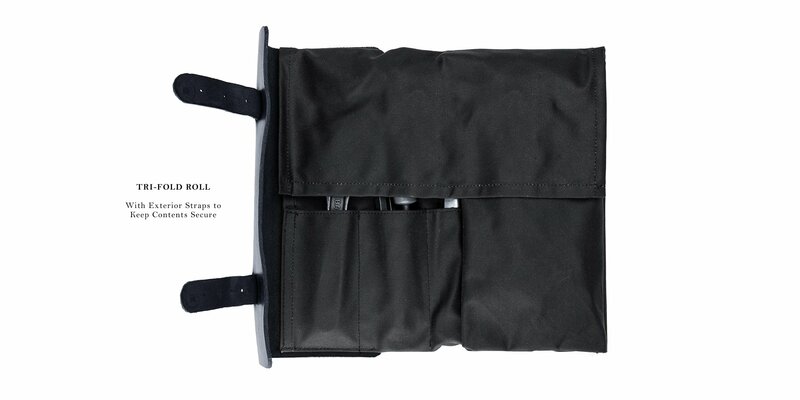 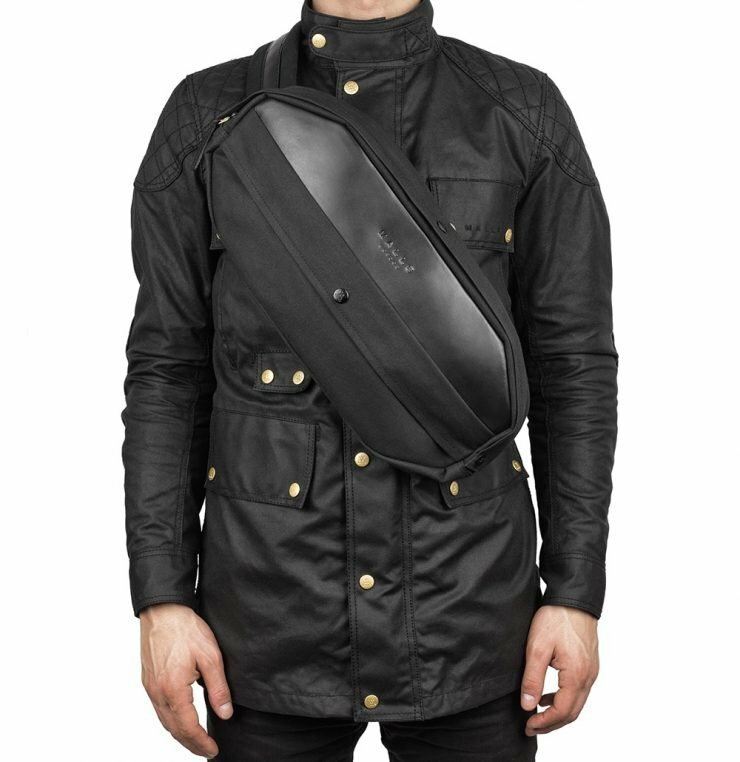 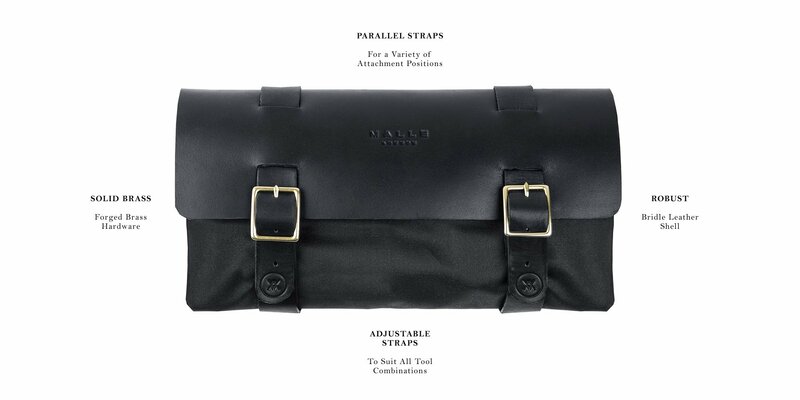 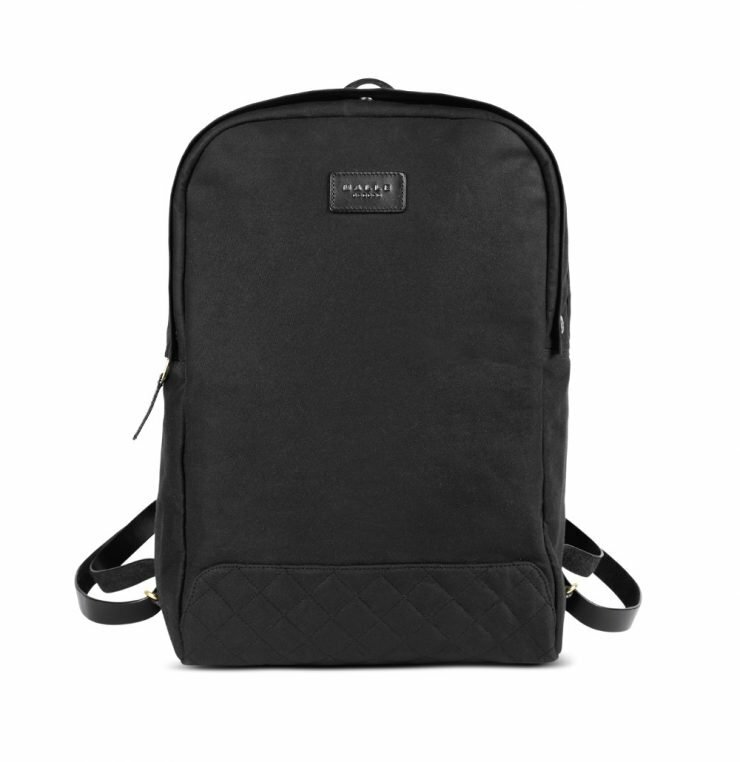 The parallel leathers straps enable attachment in a multitude of positions on your mode of transportation. 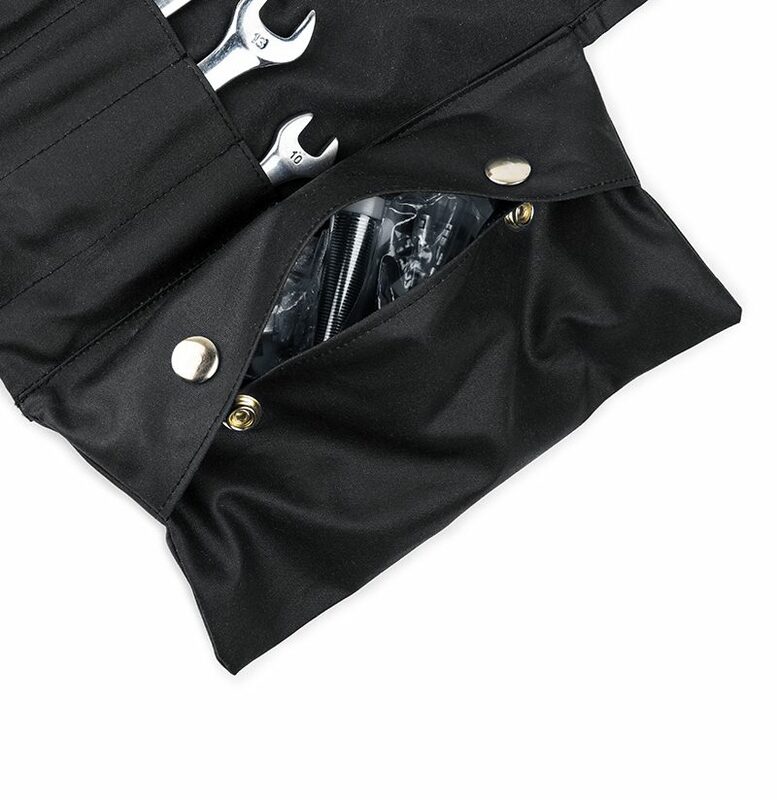 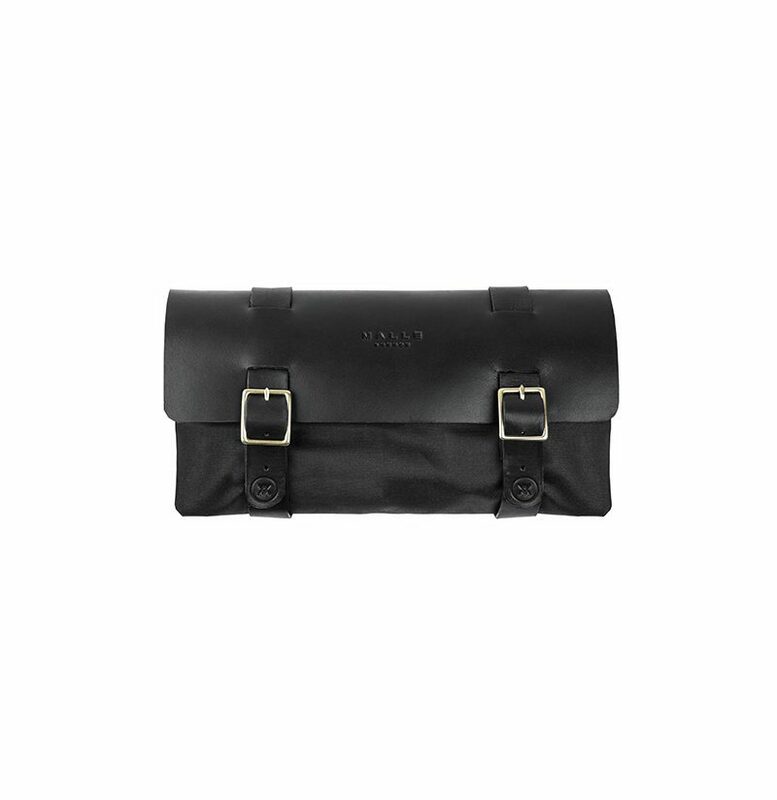 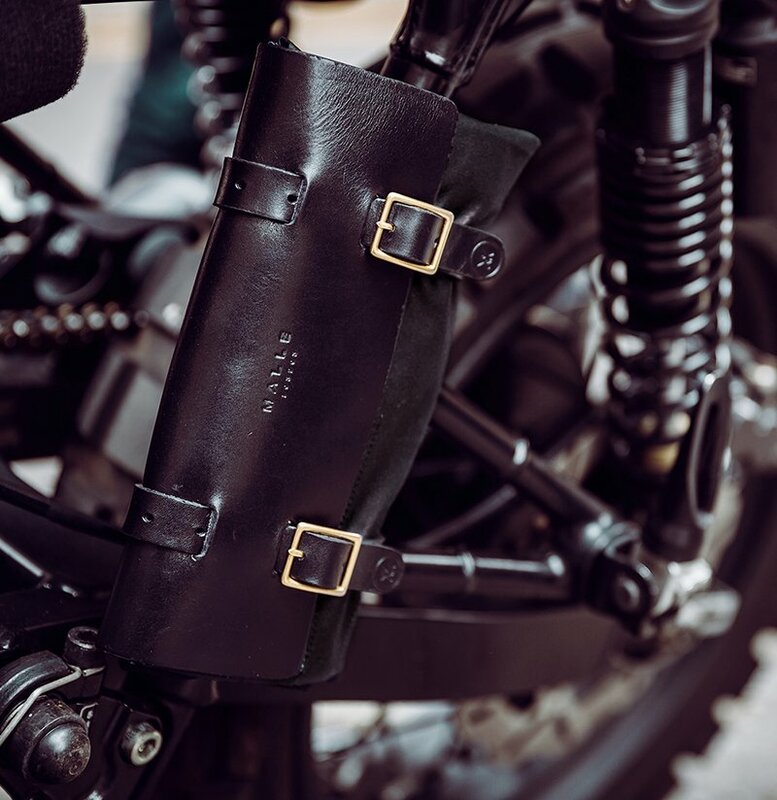 Made from our signature black oiled canvas, bridle leather and solid brass hardware, this tool roll is built to last. 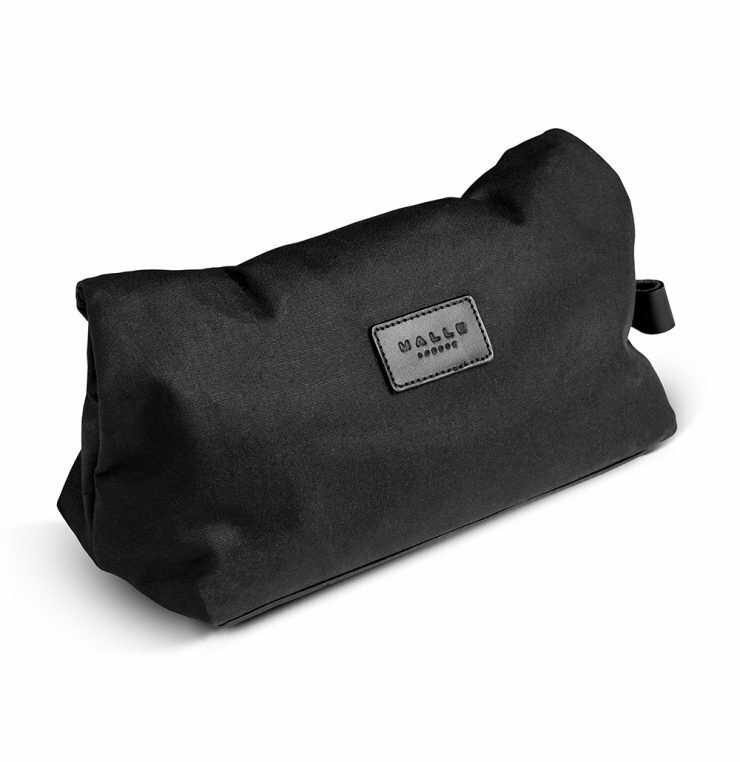 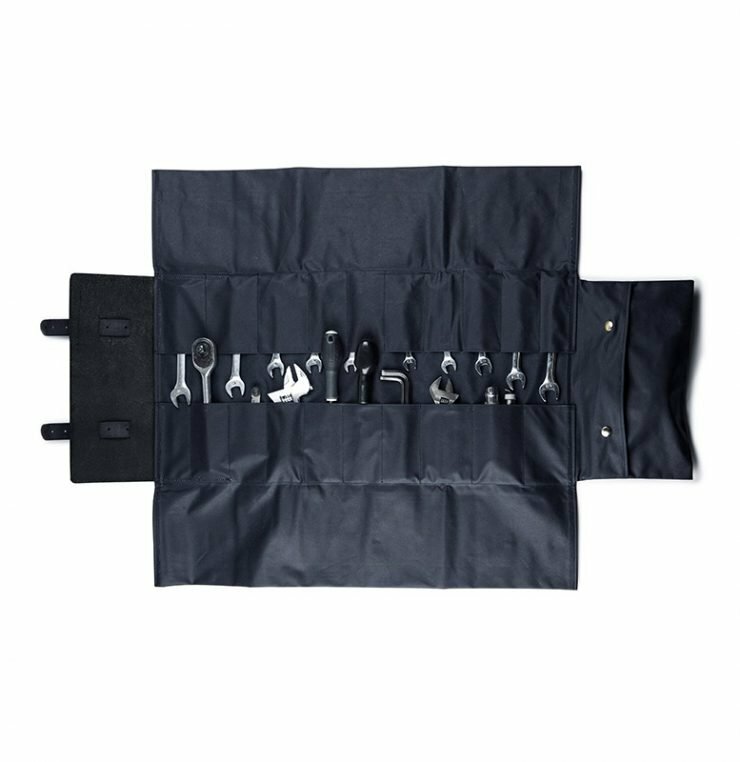 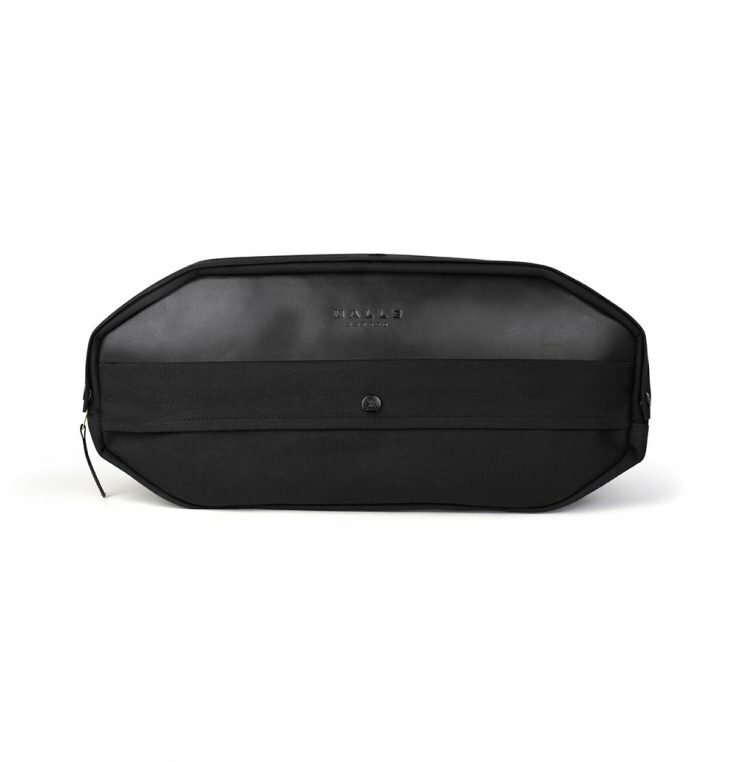 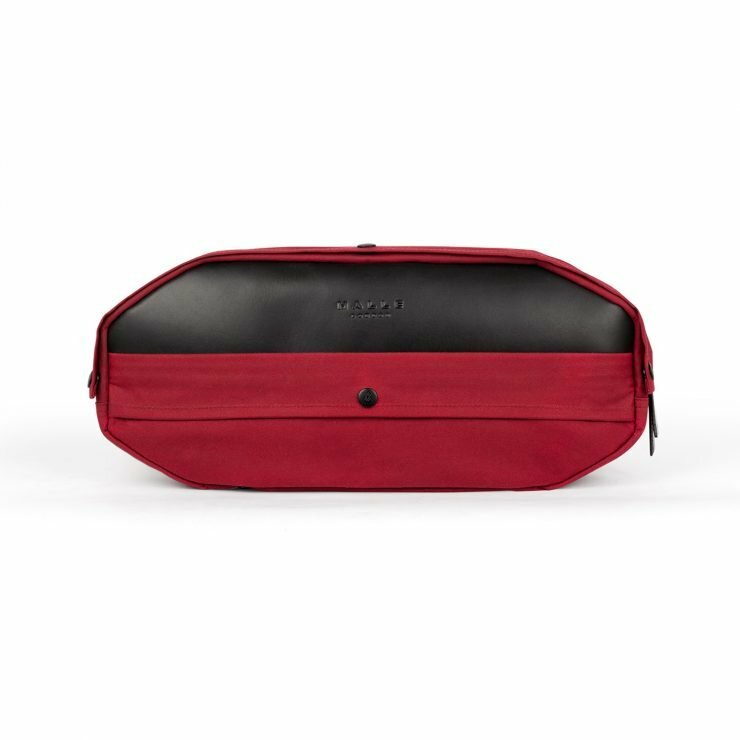 Malle tool rolls are built to last with heavy-duty stitching throughout. 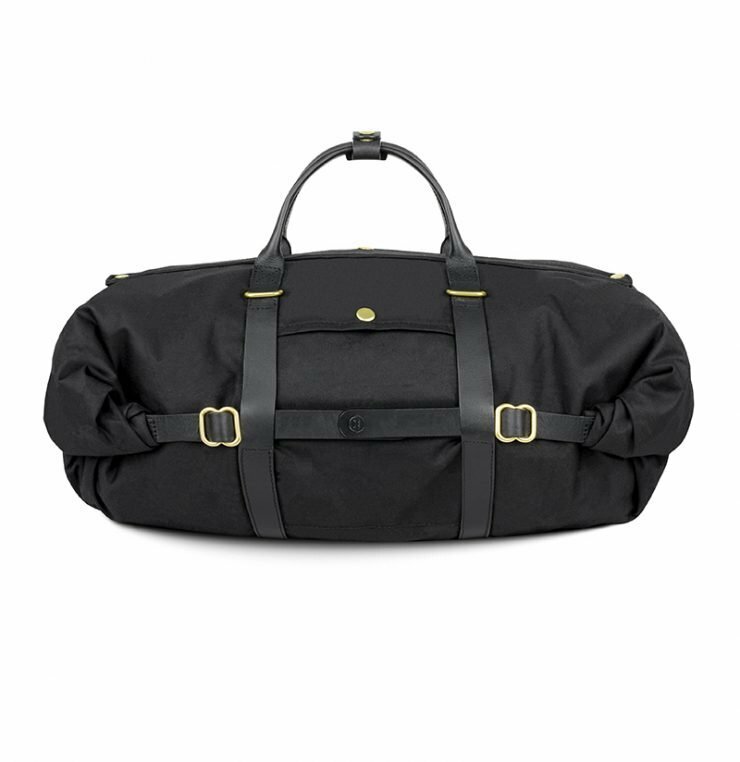 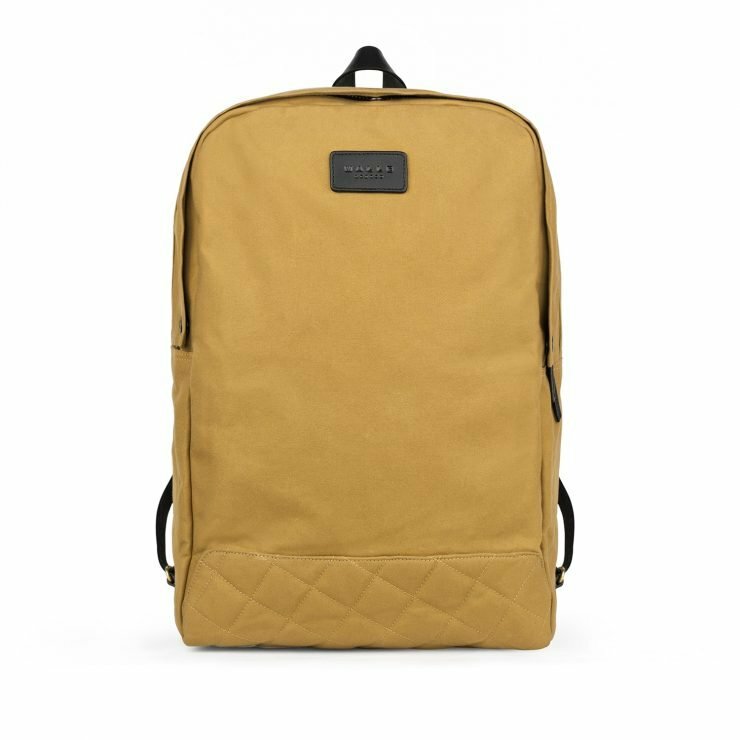 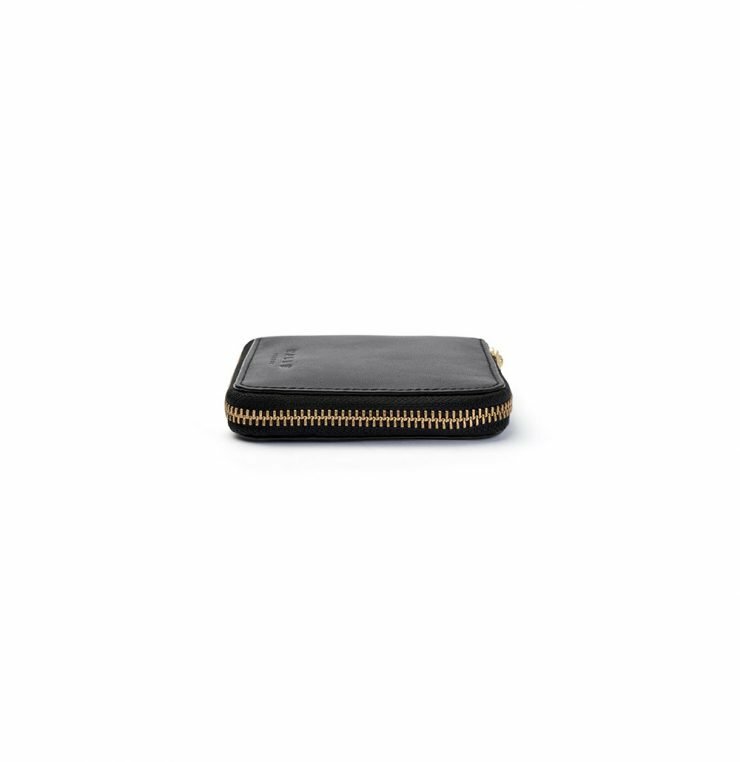 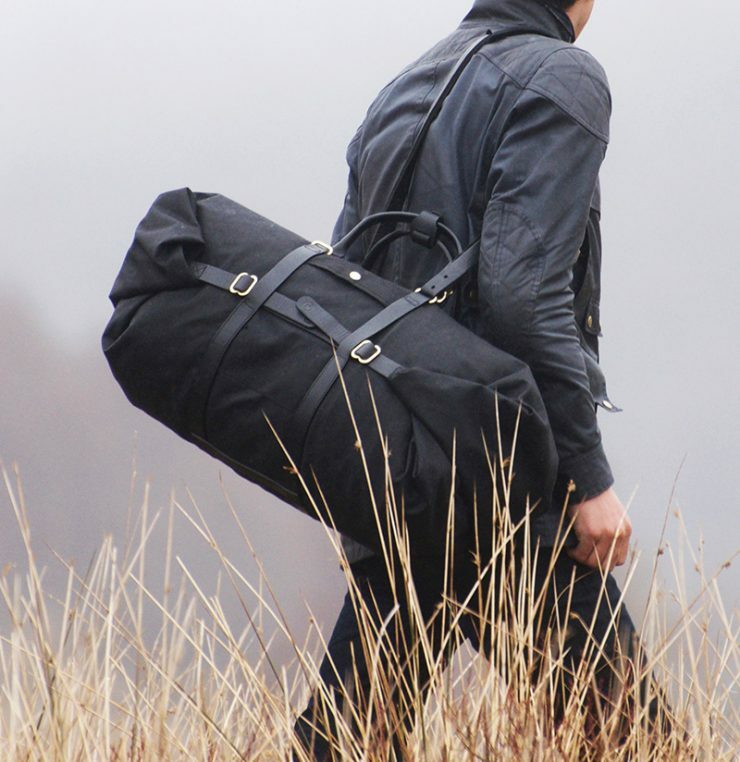 Our durable fabrics, forged brass and bridle leather will age extremely well and bare the wear and tear of a nomadic life. 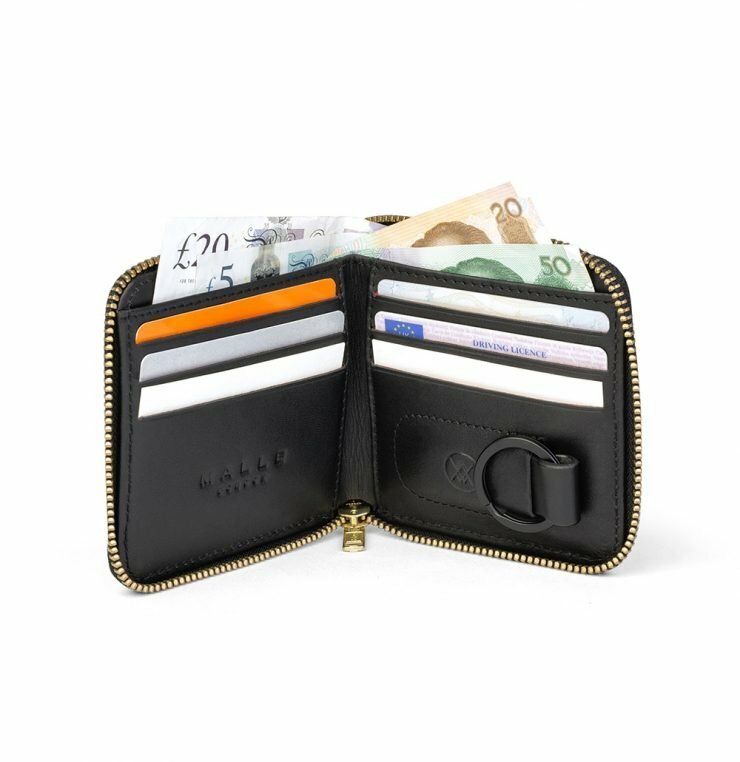 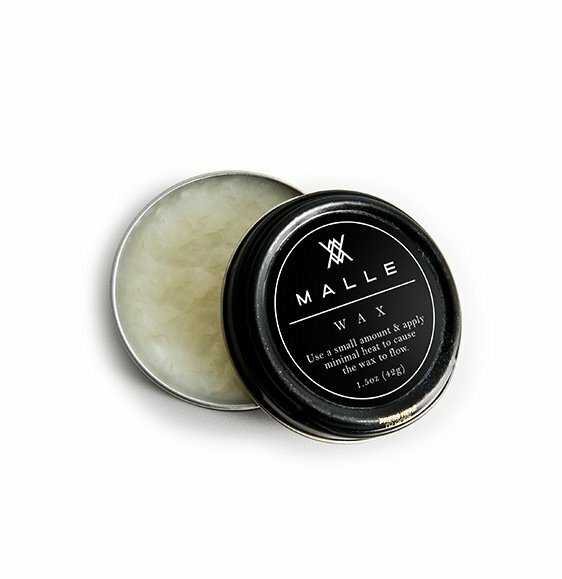 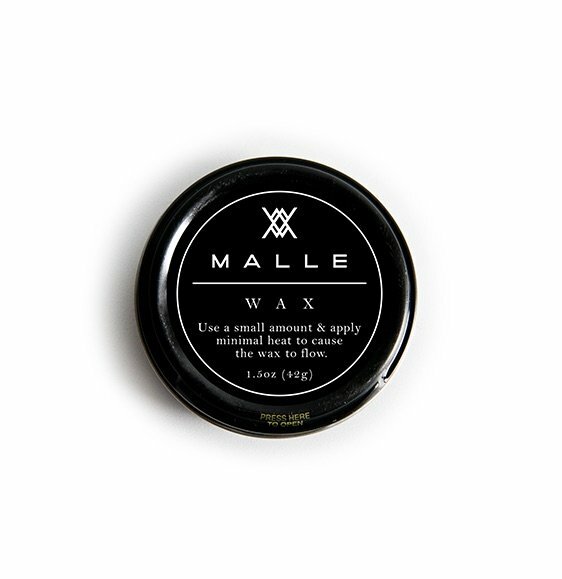 To help you keep your Malle in perfect condition please use the correct Malle wax to maintain 100% waterproofing and leather conditioner. 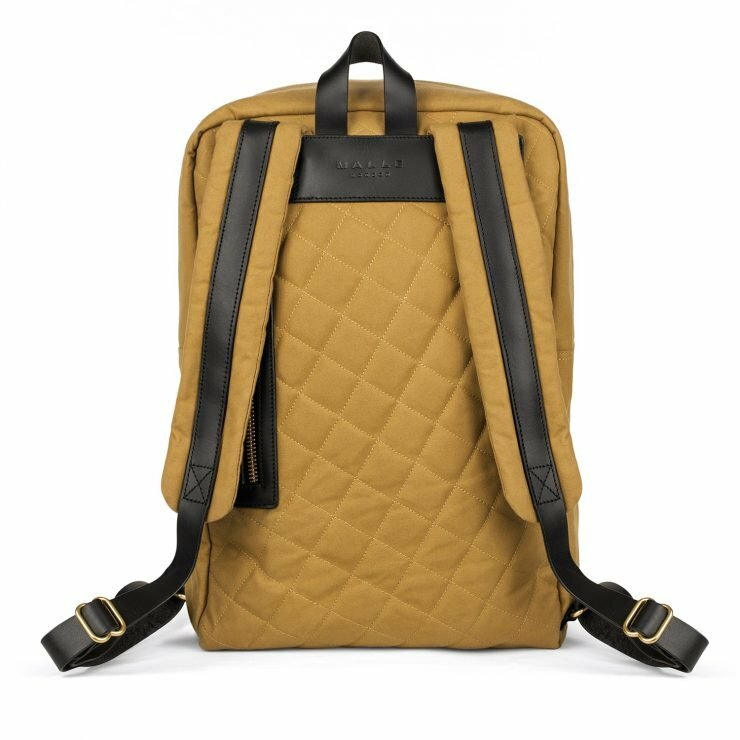 Darker colour waxed cotton fabrics can fade if left in direct sun light for long periods of time. 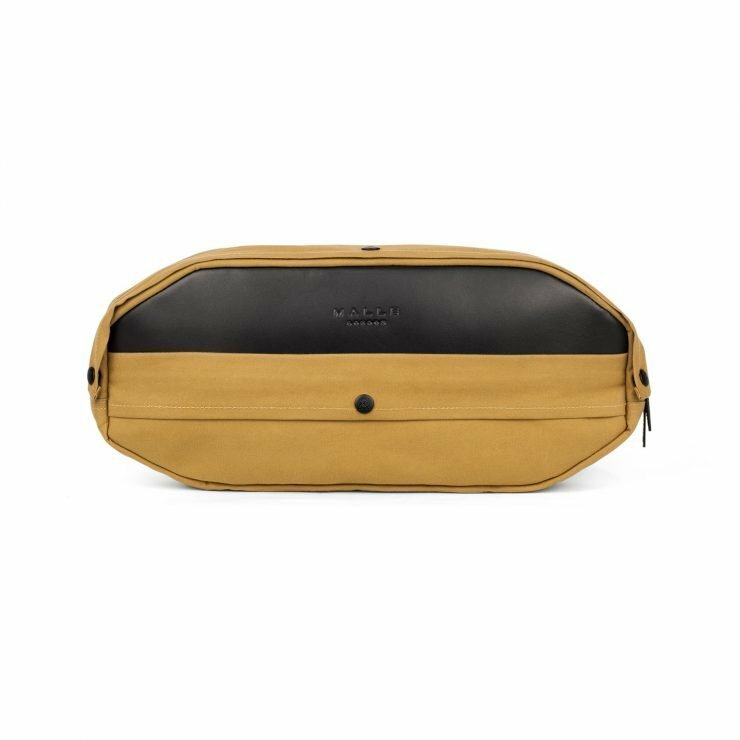 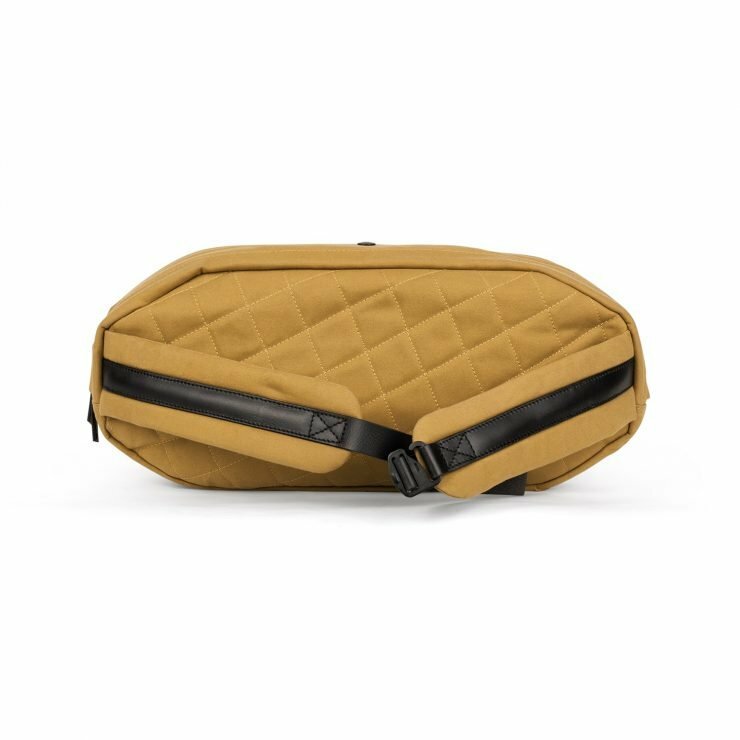 The oil in the cotton canvas protects the fabrics from dirt water and sun so please make sure your Malle is kept in good condition for a longer happier life – although personally we love the way oiled canvas ages. 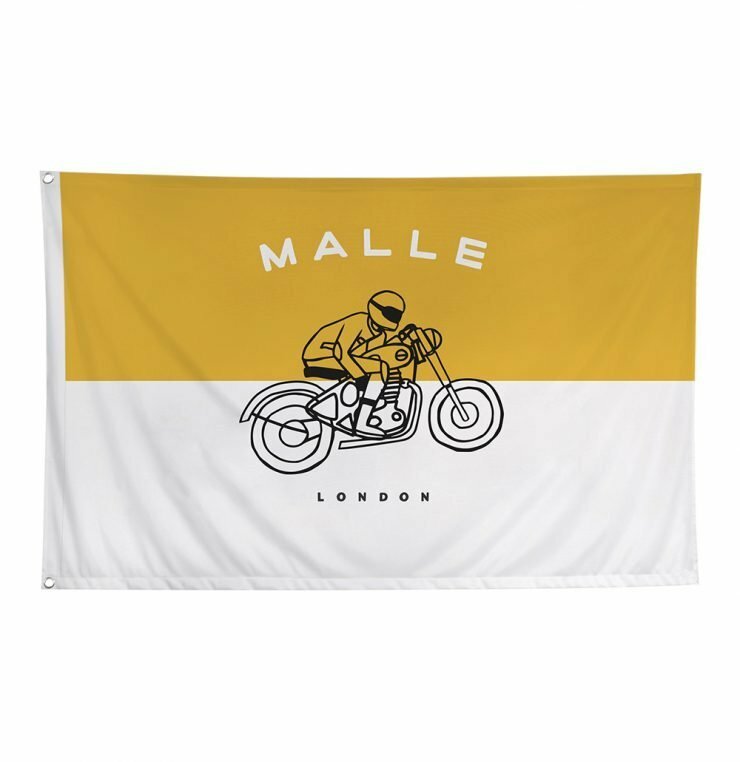 Rolled 4" / 8.5”, Unrolled: 15" / 8.5"
Categories: Accessories, Adventures, All, Gift Ideas, Moto, Roll, The Great Malle Rally, The Great Mile Kit, Under £150, wanted.